“SCOR Life & Health Ventures” does targeted strategic partnerships and investments in companies that can bring a complementary and differentiating offering to SCOR Global Life’s value proposition. Developing tailored solutions addressing specific client needs from the sales process to claims management. SCOR Global Life is a global Tier 1 Life reinsurer with deep biometric risk expertise and longstanding relationships with leading insurers throughout the world. Through its underwriting and claims management knowledge, its product development capabilities and its strong focus on innovation and research, SCOR Global Life builds partnerships with its insurance clients and start-up companies to bring innovative solutions and complementary offerings to consumers. SCOR Global Life’s 1,100 professionals serve over 2,000 insurance clients in 80 countries through a broad network of 29 offices. SCOR Global Life has a complete offering of Risk Solutions for both individuals & Groups (Life, Disability, Critical Illness, Long-Term Care, Personal Accident & Medical, and Credit products), as well as providing Financial, Longevity and Distribution Solutions through its ReMark and Rehalto subsidiaries and its Velogica offering. Why partner with SCOR Life & Health Ventures? Through SCOR Life & Health Ventures, SCOR Global Life reinforces its commitment to innovation at the service of its clients, providing financing capacity and partnering with innovative companies. Leveraging SCOR Global Life’s deep expertise and its long term client relationships, SCOR Life & Health Ventures aims at being a partner of choice for startup companies, in order to bring differentiated and innovative solutions to its insurance clients and their consumers. SCOR Life & Health Ventures is fully integrated into the business, allowing us to form partnerships throughout SCOR’s global business and draw upon the expertise of SCOR Global Investments and SCOR Global P&C. Brona Magee holds a Bachelor of Actuarial and Financial Studies degree from University College Dublin. From 2006 to 2011 she worked for Transamerica International Reinsurance Ireland, which was acquired by SCOR in 2011. 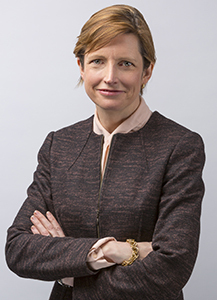 She became CFO for SCOR Global Life Reinsurance Ireland from 2011 to 2013. Brona moved to Charlotte USA to take the position of CFO - Americas at SCOR Global Life in 2013 and in 2015 was promoted to Deputy CEO – Americas. In February 2017 she became Chief Actuary for SCOR Global Life and was appointed Head of Client Solutions in November 2017. Brona is a Fellow of the Society of Actuaries in Ireland. 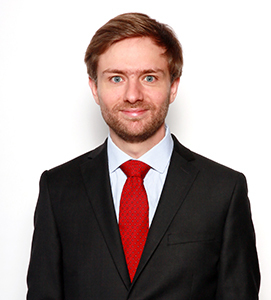 Luc Oudinot holds a Master of Science in Management from HEC Paris and from Bocconi University in Milan. He joined SCOR in 2014 as Strategic Project Manager for the Life Division before becoming Head of Strategy for SCOR Global Life, driving all strategy developments, monitoring and communication processes. Appointed Head of Innovation in March 2018, he is responsible for SCOR Global Life's innovation efforts globally, fostering and procuring technological innovation for all the division’s teams. Adviser Connect formed an exclusive partnership with SCOR Global Life in 2016 to provide a best-in-class underwriting solution, Velogica, to SCOR Global Life’s customers in Asia. By combining SCOR Global Life’s underwriting expertise and reinsurance services with Adviser Connect’s software solutions, Life insurers have access to leading-edge technology with the power to process large volumes of business more efficiently. Insurers can expect greater in-depth analysis of their business data and processes and improved customer and adviser interfaces to drive ambitious business growth. SCOR Global Life and Adviser Connect have assembled a team of more than 60 client and technical experts with platform knowledge, software expertise and underwriting skills to work with clients to produce solutions that meet their specific requirements. iBeat is a health technology company empowering people to be fearless, explore and live longer lives. The team is bringing to market the iBeat Heart Watch – a breakthrough cellular smartwatch that monitors users' heart activity 24-7. In a life-threatening emergency, iBeat will instantly alert the user, their loved ones, and emergency responders in real-time, helping to ensure immediate care and potentially saving the user’s life. The watch also has an emergency help button that can be pressed at any time.